“NATIONALISM SHOULD NOT BE CONFUSED WITH PATRIOTISM” – OUR DIVIDED POLITICS. 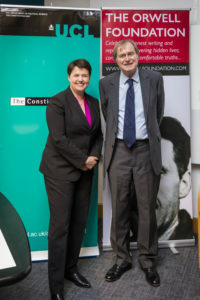 Ruth Davidson MSP with Prof. Tony Wright of the Constitution Unit, who chaired the event. Lord Ken Macdonald QC, Chair of the Orwell Foundation, introduces the lecture. 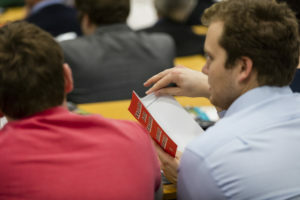 Audience members enjoy free copies of ‘England your England’ pamphlet kindly donated by Penguin Books. Ruth Davidson MSP, leader of the Scottish Conservatives will give the Orwell Prize Shortlist Lecture 2017, co-hosted by the UCL Constituion Unit and Chaired by Tony Wright. The lecture will take place in the Cruciform Building, UCL, in Lecture Theatre 1 (LT1). Shortlists for the Orwell Prizes 2017 will be announced after the lecture. To read about the longlists, click here. A drinks reception will follow in the Wilkins Building, North Cloisters (across the road) from 8.00pm. 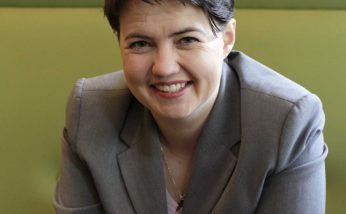 Ruth Davidson is the leader of the Scottish Conservative and Unionist Party and the Member of the Scottish Parliament for Edinburgh Central. After graduating from Edinburgh University, Davidson worked as a BBC journalist and signaller in the Territorial Army. She joined the Conservative Party in 2009 and was elected leader in 2011. Tony Wright is Visiting Professor of Government and Public Policy at UCL’s constitution unit and was co-editor of Political Quarterly from 1995 until 2015. MP for Cannock Chase from 1992 to 2010, he chaired the Public Administration Select Committee for over a decade and as chair of the Reform of the House of Commons Select Committee introduced the ‘Wright reforms’ that strengthened the role of the Commons. 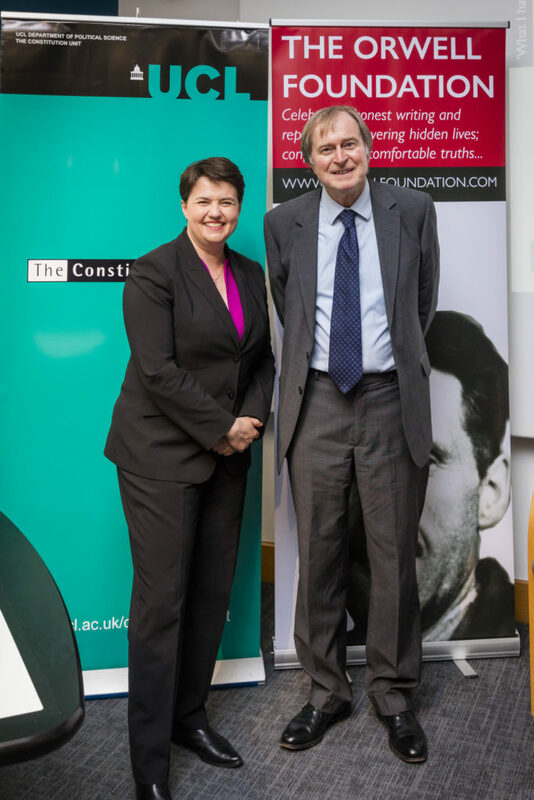 His most recent books are Doing Politics (2012) and the second edition of the very successful British Politics: A Very Short Introduction (2013). The Constitution Unit conducts timely, rigorous, independent research into constitutional change and the reform of political institutions. Its key purpose is to inform policy-makers engaged in such changes, both in the UK and around the world. Current Unit research covers parliament, elections, referendums, political parties, devolution and territorial politics, the judiciary, civil service, and Britain’s relationship with Europe. Publications range from reports and books to articles in academic journals and the popular media. The Constitution Unit has a lively blog, regular newsletter and popular events programme. You can follow the Unit on Twitter at@ConUnit_UCL. 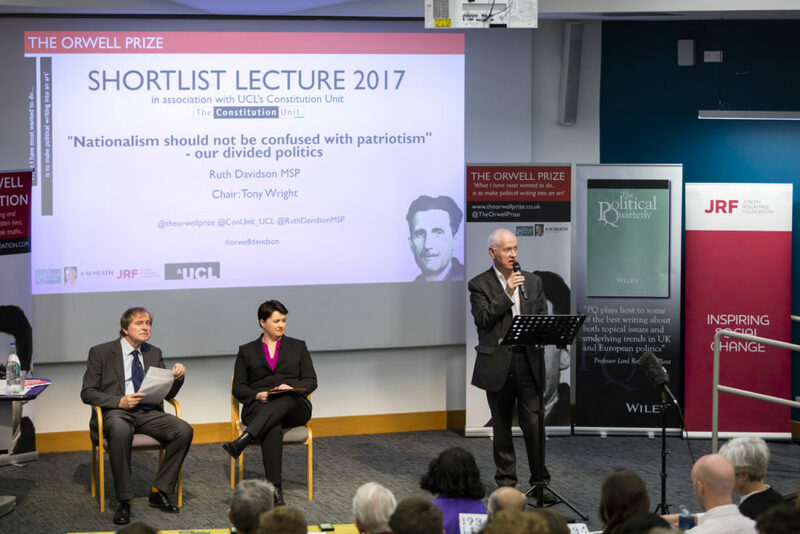 The Orwell Prize is the UK’s most prestigious prize for political writing. 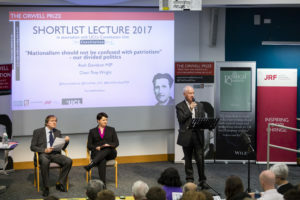 Founded by Professor Sir Bernard Crick, it has been awarded since 1994 for the books and journalism which best meet Orwell’s ambition to ‘make political writing into an art’. 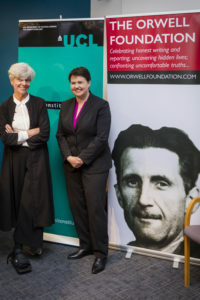 The Orwell Prizes are awarded by the Orwell Foundation. George Orwell believed in the moral power of language and understood the dangers of its corruption. 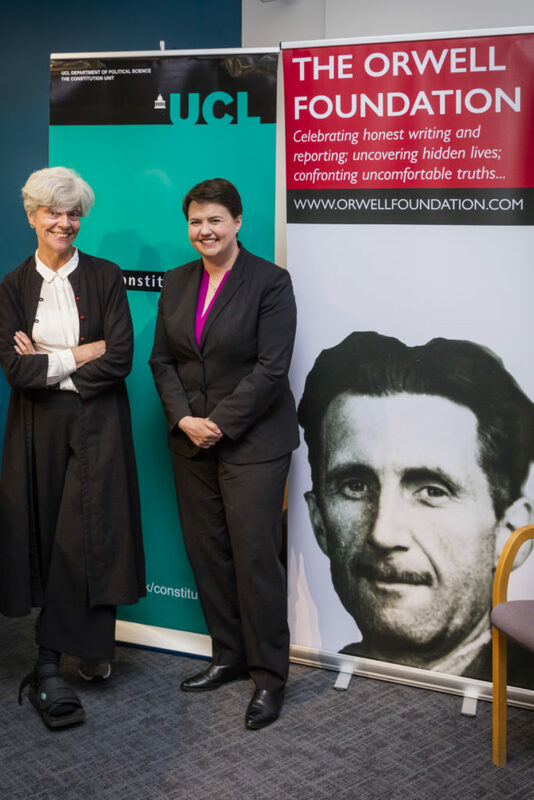 The Orwell Foundation uses his work to celebrate honest writing and reporting, to uncover hidden lives, to confront uncomfortable truths and, in doing so, to promote Orwell’s values of integrity, decency and fidelity to truth. 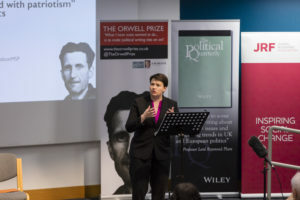 Ruth Davidson’s Orwell Prize lecture is part of a series of three women lecturers organised by The Orwell Foundation in 2017 – 2018. A L Kennedy and Josie Rourke will also give lectures. The Orwell Foundation is based at UCL’s Institute of Advanced Studies.